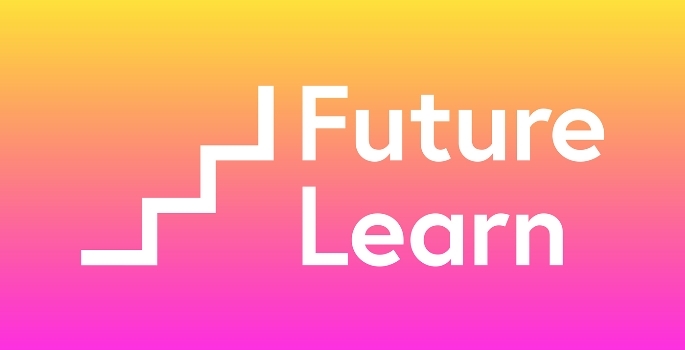 I'm beyond excited to offer you all a discount code of 15% off a* FutureLearn course! This course eight-week course is developed by the Open University and you’re advised to spend three hours a week on it. It’s also completely FREE but for £42 you can ‘upgrade’ to have unlimited access (which means there’s no eight-week limit) and a certificate. In this course you will hear from established writers who will talk about how they first began writing, and you’ll learn how to keep a journal and use it as a tool to develop your ideas and document your inspiration. My favourite exercise in this course was actually, the final assignment; it was rewarding to finally put together all of my ideas for characters, storylines, and the research one of the exercises requires you to carry out. The entire course helped me to learn the long and hard process that is required to put together an interesting and believable piece of writing. The hardest part of the course was getting feedback on my writing. It was particularly hard for me because all my writing/blogging is personal; it’s all about me, so to write an entire assignment of fiction was challenging. In the end, I couldn’t put it together without having a character based upon myself and with a storyline that would be plausible (though I haven’t necessarily experienced) to my life. This meant that I had to try hard to distance myself to stop any negative critique from being hurtful. It was hard – like I said – but a great learning curve in my writing. And it helped that in the end, all the feedback on my final piece was positive and full of praise! This two-week course is developed by Accenture and you’re advised to spend two hours per week on it. It is also completely free and with no fee for an ‘upgrade’; on completion of the course you achieve a digital certificate that you can print out yourself. 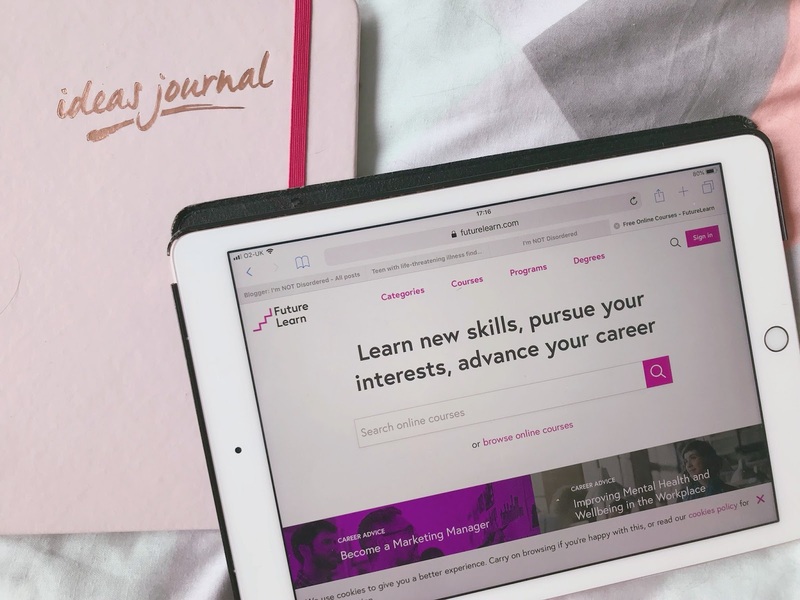 In this course you’ll learn about digital marketing strategies, find out why they’re so important, and learn how they can be integrated for organisations to target a specific audience. My favourite part of this is course was learning the different types of digital marketing; from Pay Per Click Advertising (PPC) to Search Engine Optimisation (SEO). It was really interesting to learn the names and qualities of these strategies and it’s been so helpful in my posts on social media and I’m NOT Disordered. Since adopting some of these methods into my own marketing work (both for I’m NOT Disordered and other organisations) my audience has increased and so has the amount of interaction my posts get. The most challenging part of this course was probably remembering all of the abbreviations and acronyms for the technical side of digital marketing. I think this might have been down to my terrible memory, but the course featured a ‘jargon buster’ during Week One so that was very helpful! I think that my passion for the subject really helped me with this difficulty because I was so eager to learn that I persevered. This eight-week course was also developed by the Open University and you’re advised to spend three hours a week studying. It is also free but there is an optional £52 ‘upgrade’ which will allow you unlimited access to the course (so you could study at your own pace) and you’ll be awarded with a certificate on completion. In this course you’ll learn about the importance of witnesses in criminal cases, the struggles around obtaining their testimony, and throughout the course you will have special insight into a case and using your new skills – at the end – you’ll be asked to solve it! My favourite part of this course has been the realistic insight into a case and the determination it gives you to see the entire thing through by completing the course. I also found it really interesting to learn about the impact witness testimony has had in real-life, past cases. The hardest thing – and the reason I’ve labelled this course as perfect for a ‘Brainiac’ – is how very intense it is. It’s a lot of hard work and it’s taken me well over three hours a week, but I think that’s because this course is a small part of a Degree and I only got as far as my A Levels; and that was back in 2009!